The Cali Clip is the simplest and most secure drop shot keeper available. Just snap it on your rod, slide your line through the keeper, and your drop shot weight will stay secure until use. It's that simple! The Cali Clip also features a sturdy hook keeper to secure your swim jigs, Texas rigs and other lures securely to your rod. It is important to choose the right size clip for your rod. You should choose the correct size clip before installing it. The clip should fit snug and not spin or slide up & down the rod easily. 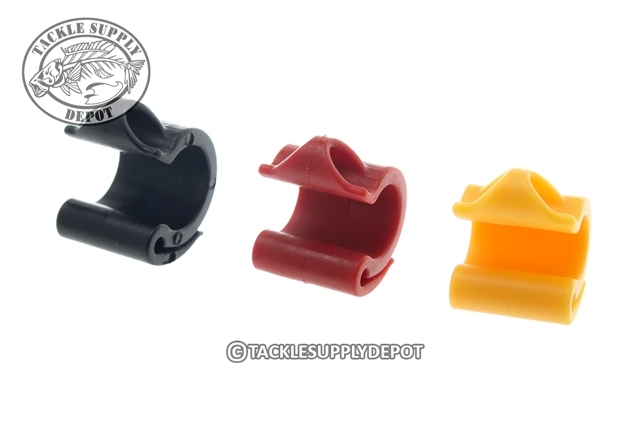 Includes three different size clips to accommodate a wide range of rod sizes and styles. This little jokers make hanging the drop shot weight so fast and easy with no tangles at all. It also works great for other lures, A plus!